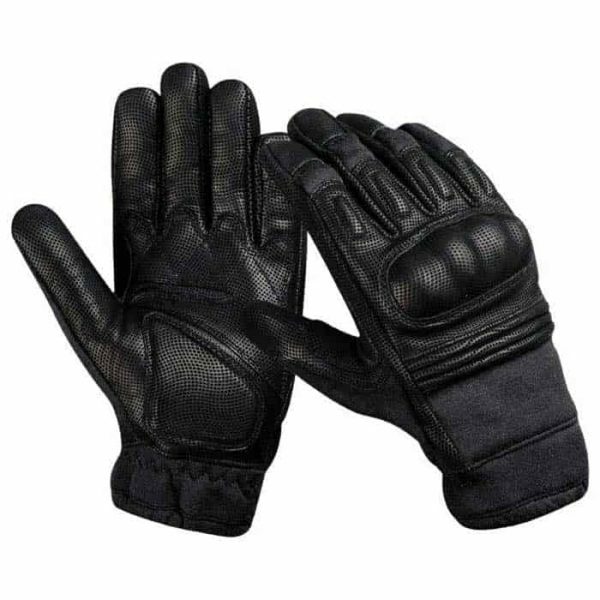 The American Kevlar Tactical Motorcycle Riding Gloves – Made for US Military use are perfect protective gloves for your precious palms and fingers during a motorcycle / bike crash, fall, spill or slide. These Kevlar Tactical Motorcycle Riding Gloves are made with 100% genuine coyote leather and Kevlar® fabric with dual layer protection. Digitally textured leather allows heat resistance. Injection molded knuckles are matched for ultimate protection. The Kevlar Tactical Gloves are discounted on Groot, providing premium protection at a affordable price tag. Imported from USA. got this along with other few products and must say these gloves are much better quality than overpriced DSG, Aspida, etc. great protective gloves, very comfortable for riding. hard knuckles are a plus and kevlar built is great. if you buy this you are in for a surprise. the built is best that I have seen so far! fit and finish is excellent. Exceeds expectations. Got one of the last few pcs from them. I have no words for Quality, it feels better than even Alpinestars. You might think its a joke, but I own Alpinestars glove jacket n boot. You have to wear it to believe it.